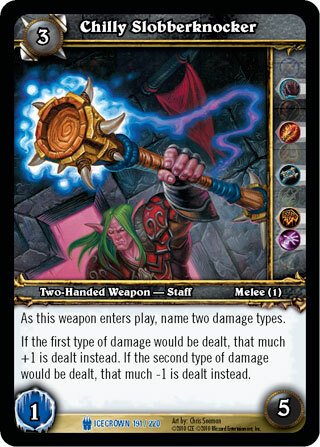 Rules: As this weapon enters play, name two damage types. If the first type of damage would be dealt, that much +1 is dealt instead. If the second type of damage would be dealt, that much -1 is dealt instead.